This week marked the end of our first years’ exhibition, which showcased fashion destinations from around the world. We’re delighted to share some of their creative ideas, captured beautifully by third year BA (Hons) Media students (Christie Breen and Alexis Flores) who’ve been on placement with our media team. 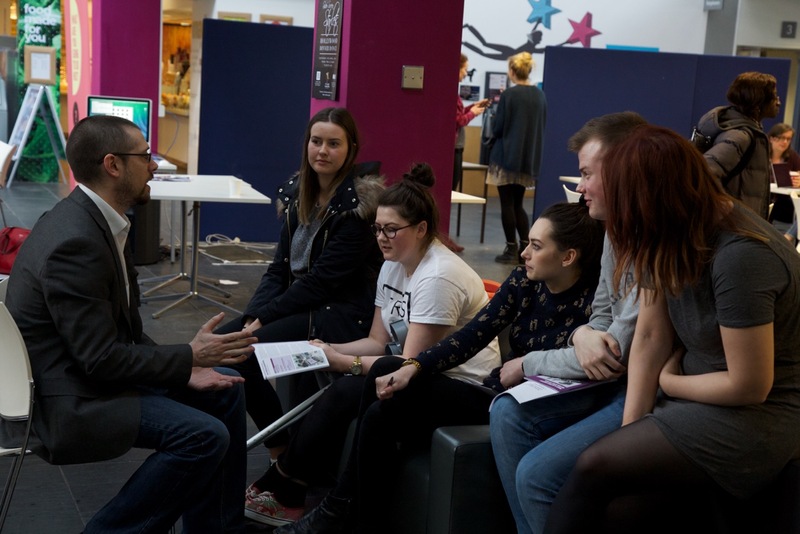 This project required students to work in teams, across a range of courses (fashion, events, PR and tourism) within the School of Creative and Cultural Business at RGU, in order to plan a creative exhibition and organise a launch event. Ten teams of students were assigned a charity and given £10 with which to buy a garment from the charity’s local branch. Their aim was to communicate a fashion destination of their choice, using the garment and charity as inspiration. Showcases included Scotland, Paris, Nigeria, Moscow, New York, Kenya, China and Hollywood. During the launch event, students were tasked with promoting their charity and many chose to fundraise through bake sales and competitions. One team even brought along a mascot in the form of Lily the dog; this tied in well with their charity (PDSA) and she gained their team a lot of attention at the event. We’re so proud of the commitment and enthusiasm our students gave to this project – well done to everyone involved! 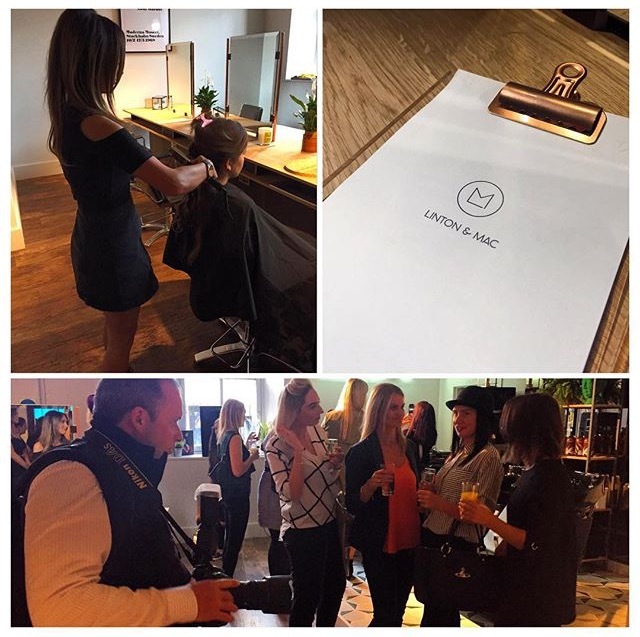 We had a fabulous time last night at the opening of new Aberdeen hair salon Linton and Mac. The event was a suitably glamorous affair and we look forward to visiting the salon again soon! Thank you for having us! We’re on the countdown to our Fabulous at Fifty fashion exhibition launch on Thursday the 16th of April. Here’s a preview of what’s to come from one of the groups who will be supporting Barnardo’s with a Sound of Music themed exhibition! The event is open to everyone and free of charge so please drop by between 6-8pm to see the showcase. Over the next few weeks, and in the run up to the fashion show, we have a number of fundraising events planned! 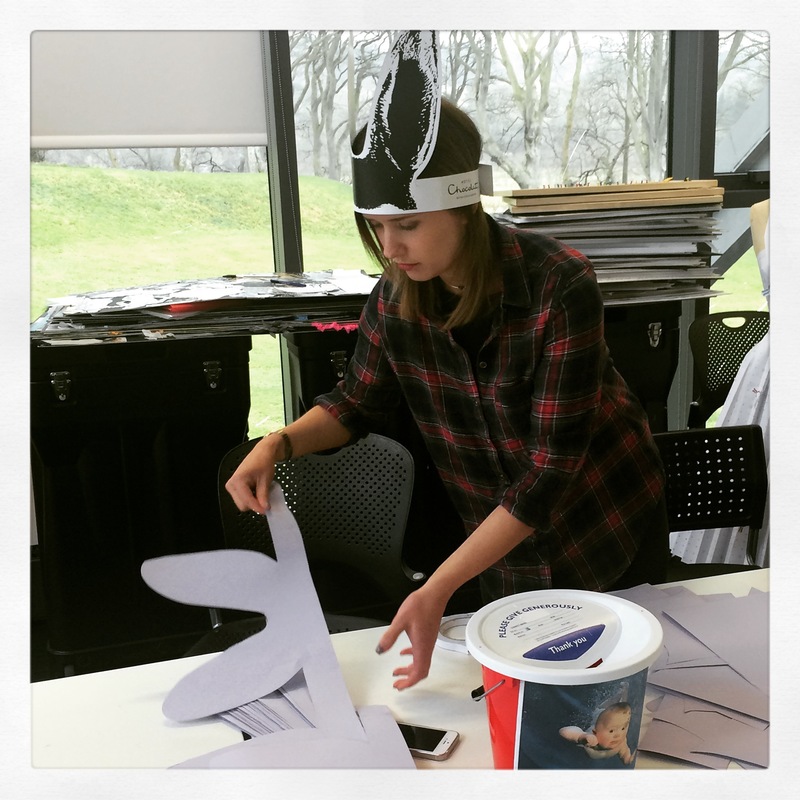 The first will take place tomorrow in Aberdeen’s Bon Accord & St Nicholas and our students have been working hard this morning to organise some fun Easter themed activities! We’ll be in the centre tomorrow from 10am to 5pm, next to Costa, so come along and see us to find out more about the fashion show and our charity, Down’s Syndrome Scotland. 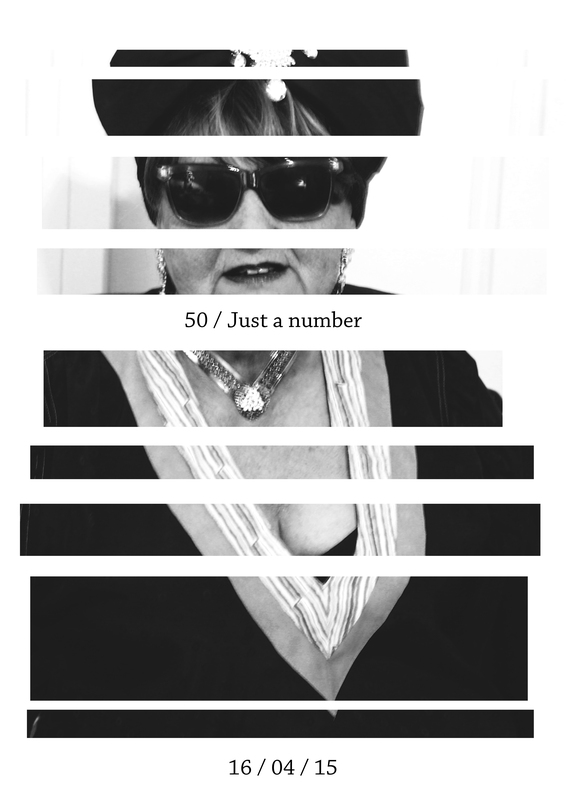 Jean is rocking the same outfit 50 years later; 50 is just a number! A sneak preview of another student exhibit for our “Fabulous at 50” Fashion Exhibition on the 16th of April!